Shelf Actualization: So you wanna be a writer? Then park yourself in post-war Paris. Pshaw, you say. We can’t go back. We’ll never be able to recreate the magic of Paris in the '20s. Lightning simply doesn’t strike the same spot twice. Ah, but here’s where I have to disagree with you. The Paris of the Hemingway, Fitzgerald and Joyce already was the second strike of lightening. A similar cultural flowering preceded it by thirty some-odd years, and another one followed thirty years later. And what was the common thread? In all cases, Paris was recovering from war. After the siege and fall of their fair city at the end of the Franco-Prussian War and the bloody months of the Paris Commune, Parisians played host to a cultural and artistic awakening that laid the groundwork for our modern era. Victor Hugo had returned from a self-imposed exile, Gustave Flaubert once again held court, and Emile Zola, Anatole France and Guy de Maupassant rose to prominence. Russian writers like Turgenev and Tolstoy made extended stays in Paris. Artists like Monet, Manet, Degas, Gauguin, Toulouse-Lautrec, and Rodin blazed new trails in the world of art. (And let's not forget that under a big red windmill, Ewan McGregor sang songs to Nicole Kidman that would inspire pop stars 70 years in the future.) It was the undisputed cultural center of the western world, and the Paris of the 1890s was bookended by two World Expositions, the first of which saw the erection of its new civic symbol, the Eiffel Tower. But it would all be brought to a halt when the world went to war again in 1914. While Paris never fell during World War I, the front was close enough (just 15 miles away) that it was the city’s own taxi drivers who became the key to mobilizing the French troops to victory at the First Battle of the Marne. And the hopeless nightmare of the western front was never far from the French capitol. But after the Armistice? Good times rolled again in Paris just as they did elsewhere. 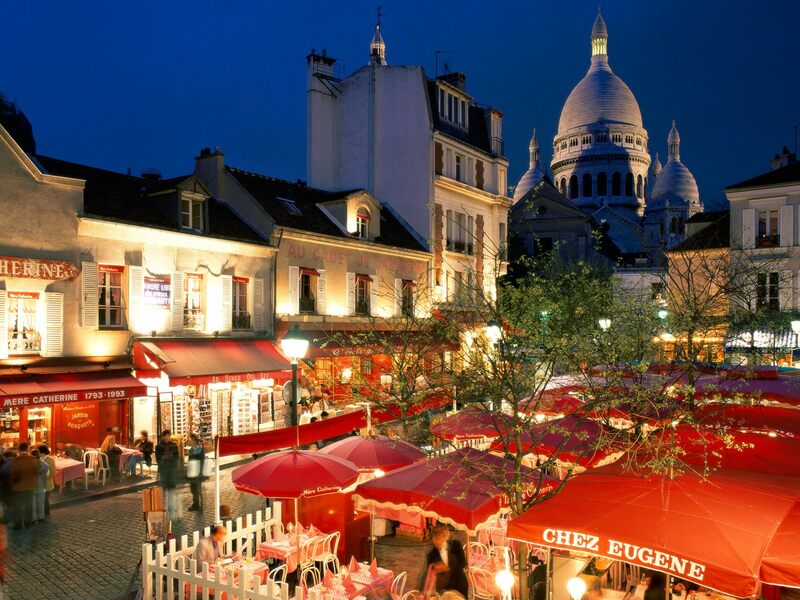 The memory of La Belle Epoque drew scores of writers, artists and bon vivants to the Left Bank and Montmartre. Hem and Hadley, Scott and Zelda, Joyce, Eliot, Pound, and Dos Passos. These writers mixed and mingled with artists like Picasso, Dali, Modigliani, Matisse, and Rivera until again things eventually fizzled out and Paris was once again threatened by war. World War II again put Paris in the hands of foreign occupiers, and the age of total war took a terrible toll on the populace. But less than a decade after being liberated, the city once again played host to an expat community in search of their proper muse: Beat Generation writers like Jack Kerouac, William Burroughs, Allen Ginsberg, and Greg Corso flocked to the Left Bank. Local luminaries like Samuel Becket gained world fame. African American writers like Richard Wright, Chester Himes and James Baldwin made names for themselves. George Whitman reincarnated Silvia Beach’s illustrious Shakespeare & Company bookstore, the famed Olympia Press came into being, and George Plimpton founded the Paris Review, which is still going strong to this day. Who can deny it? 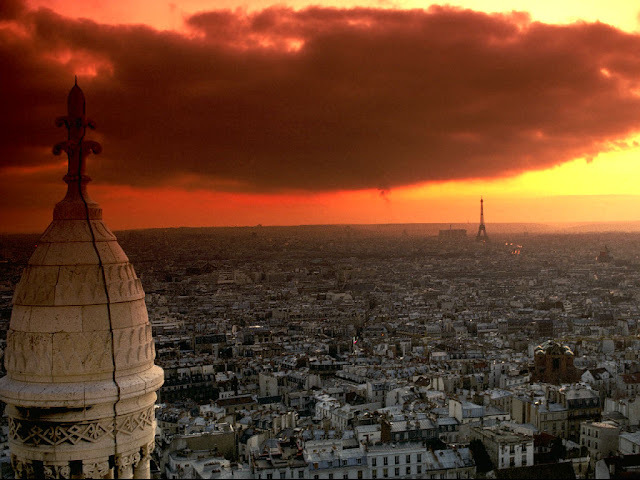 Post-war Paris is a proven, sure-fire catalyst for aspiring writers of all stripes. But the further we get from WWII, the further into the background that magic seems to fade. Now, as someone who has himself fallen under the charms of the City of Light, I’d be the last one to wish the ravages of war upon it. But if, heaven forbid, Paris does ever find itself in the wrong news headlines, it wouldn’t be a bad idea to keep your passport up to date- because those post-war years can be magnificent. How ironic.. I just watched Midnight in Paris last night and then you have this post... Perfect! Very interesting stuff. I hadn't considered the timing of all of those authors and artists. Thank you again, Professor, for providing me with both knowledge and entertainment. I would really be interested in a post discussing your opinions of the movie's portrayals of the various writers: Fitzgerald, Hemingway, Gertrude Stein, etc. I absolutely loved the portrayal of Hemingway- I believe the actor excelled at capturing the genius and the intensity of Hemingway on the page and recreating how those traits manifest itself in the man. I'd love to get your thoughts on it! Ask and you shall receive. We've got a few other things in the queue this week, but maybe we can get something up over the weekend. You're right. It would be an interesting topic. Thanks... looking forward to it!